This was a lovely story. It was so beautifully written! It helped that the location was beautiful as well, but I felt like I was there. At some points I was more curious about the details and location then the actual story. Spain has always been an area that I wished more stories where set in, because it is a lovely area. It certainly added to the drama of the story! At some points the book did get intense! I think setting made it feel more intense, but I enjoyed every moment of the unnecessary drama. Yes, unnecessary but entertaining nonetheless. This would make for a great movie! Just so much drama and beauty going around. I was not a fan of Salvador. Yes, he was good looking, but he annoyed me. I would have kicked him to the curb if I was Alexandra. However, I do not care for complexity in my relationships. Not my thing, but not everyone is like me, so I was trying to understand her. I tried to understand and like her. I grew to like her as the story went on, but I just don't get WHY she stayed and WHY she was so in love. Everyone was so MEAN! It just seemed too much for me. I know when I am not wanted and I will not stay. However....that is me....Alexandra, I felt, needed to be loved by them. Poor girl. Again...this was a lovely written book with some intense drama going on! I am curious to see what else the author is going to bring to the table! I want to read more. :) My only issue was Salvador himself. I grew to understand and like Alexandra, but it was still sad to see such a nice girl get treated like crap for a while. 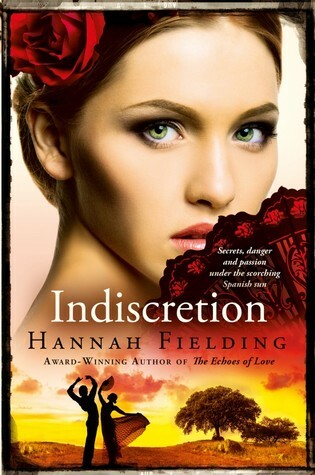 I highly recommend this to those that like historical fiction or what a book set in Spain. I will say it ONE last time....LOVELY! Out of five stars, I stamp this with 4.